CANADA: Wind power projects in British Columbia will largely be exempt from utilities commission permitting, under major renewable energy legislation being introduced in the province. The Clean Energy Act, introduced last week, proposes a slew of changes to energy regulation and procurement. Among them, projects procured under the province's Clean Power Call and standing offer will not require reviews by the British Columbia Utilities Commission. The Northwest Transmission Line, a 335km, 287kV project scheduled to begin construction late this year, would also be able to skip utilities commission approval. The bill also prohibits energy project development in parks and protected areas. If passed, it would also consolidate provincial utilities BC Hydro and the BC Transmission Corporation into one entity. The act would also create a new role for British Columbia's utility BC Hydro to actively market its power to other Canadian provinces and to the US. And the bill would formalize a directive restricting the province's Burrard natural gas plant to emergency use only - a rebuke to the utilities commission, whose insistence that BC should rely more on Burrard caused delays to clean energy procurement. In drafting the bill, the provincial government drew on recommendations by the Green Energy Advisory Task Force, whose findings were also released last week. The requirement of BC Hydro to, within 18 months, create a 30-year integrated resource plan. This would then be approved or rejected by the provincial. government, and if approved, its contents would have to be considered by the utilities commission in future decisions. Allows the standing offer program to contract with projects over 10MW, and allows technologies to be specified. 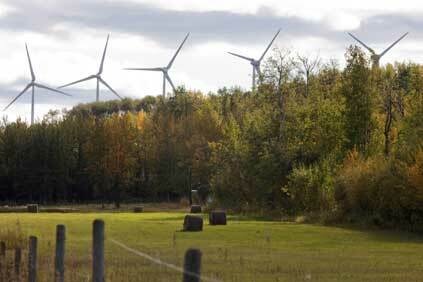 Increases the province's renewable electricity generation target from 90 to 93 percent. Strengthens environmental assessment to take note of cumulative effects. Creates a commitment to meet 66% of BC Hydro's future demand from conservation and efficiency improvements by 2020, an increase from the current target of 50%. Creates a First Nations Clean Energy Business Fund.